Saturday, 2/2/2019, the UFC octagon arose in Fortaleza Brazil for UFC Fight Night 144, just the second Fight Night showcased on ESPN+ through their new TV deal with the UFC. As is expected of the MMA hotbed, the card was stacked with highly-touted Brazilian contenders and legends bound to set the crowd on fire. In the main event of the night, fans witnessed top bantamweight contenders, Marlon Moraes and Raphael Assuncao take on one another for the right to claim a shot at the title. Since Moraes entered the UFC as a World Series of Fighting Champion two years prior, he had only lost once against the likes of Assuncao in his debut. 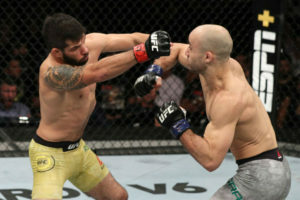 Coming into this fight, Moraes had built a lot of momentum, earning two out of three wins by way of first-round-knockout over top bantamweights: Jimmie Rivera and Aljamain Sterling. Assuncao continued to accrue wins after his first meeting with Moraes as well. In fact, the nearly nine-year UFC veteran had not lost a fight since his second match with current champion, TJ Dillashaw, back in 2016. Assuncao also possessed a win over TJ Dillashaw from 2013. With that being said, both fighters were considered only a fight away from reaching gold. The fight started as a very quick and technical kick-boxing exchange. Assuncao was walking Moraes down, throwing quick, straight punches while Moraes constantly circled away and landed low calf kicks. Around 2 minutes in, Moraes started to open up with his hands; throwing hard combinations. About four combos in, Moraes cracked Assuncao with a heavy right hook. Noticing Assuncao was visibly wobbled, Moraes cracked him again with the very same punch, dropping Assuncao to the canvas. Moraes immediately followed, jumping into Assuncao’s guard, and attempting to land ground and pound in vain. Failing to land clean from guard, Moraes worked his way into half guard. From there Moraes was able to land a few successful shots, yet Assuncao continued to maintain good defense as he blocked and shrimped toward the fence. When Assuncao finally got his back to the fence, Moraes stood up, and locked in a guillotine choke. Assuncao dropped to the mat in attempt to defend the choke, but Moraes only tightened his grip as he extended his torso. Moments later, Assuncao tapped in submission. In his post-fight interview, Moraes proclaimed that he didn’t know if TJ Dillashaw deserved to fight him for the belt after his recent loss to Henry Cejudo. Moraes added that maybe he should fight someone else for the bantamweight title while Dillashaw “goes down and hunts the little boys at 125”. Considering the fact that Moraes is usually quite soft-spoken, it is clear that Moraes expects to fight for the belt in his next bout. However, there is uncertainty considering the fact that Dillashaw is pushing for a rematch with Cejudo after his loss at UFC Fight Night 143. Regardless of the murkiness that clouds both the bantamweight and flyweight divisions, Moraes certainly has nothing else to prove before he receives a shot at the gold. In the co-main event of the night, history’s most dominant former featherweight champion, Jose Aldo, took on rising featherweight contender, Renato Moicano. Many fans and analysts considered this bout to be the real main event of the night, considering Aldo’s historic career and his reputation in Brazil. The UFC Brass thought the same when they initially tried to book Aldo and Moicano as the main event of the card. However, Aldo and his team were not interested in a five-round bout. Thus, they were placed as the co-main event. The fight started a bit slow in the first round, as both men mainly felt each other out. Moicano seemed to lead the score in the first as he stayed busy with jabs and leg kicks while Aldo remained much more reserved. However, those that have witnessed Aldo’s career know that Aldo is often slow to start until you start to push him. After that point, all bets are off, for a dormant beast is awakened inside him. The second round only served as a testament to this tendency, for Aldo came out gunning as soon as the round commenced. Aldo caught Moicano clean with a left hook, threw an upper cut to the body, and then cracked Moicano with a right hook, initiating a brutal flurry of hooks to the head and body that would send Moicano back-pedaling across the octagon. Moicano eventually found himself trapped against the fence, eating big shots. Shortly thereafter, the referee called the fight. Aldo immediately burst into a manic celebration, sprinting across the octagon, clearing the fence, and jumping into the crowd as he did in the days of old. The “King of Rio” was back! Aldo reminded us all that he is still one of the best fighters on planet Earth, and is never to be doubted despite recent losses to Max Holloway. His victory also sparked several challenges from other top fighters. Both Alexander Volkanovski and Brian Ortega made a point to respectfully call out the former champ on Twitter. What’s even more interesting is Conor McGregor expressing his interest in competing in Brazil after witnessing Aldo’s performance. Aldo and McGregor obviously have a deep history with one another, seeing as McGregor was the first man to beat him in the UFC and take his title. Aldo, himself, has mainly been talking about moving up to lightweight to challenge either Anthony Pettis or Conor McGregor. 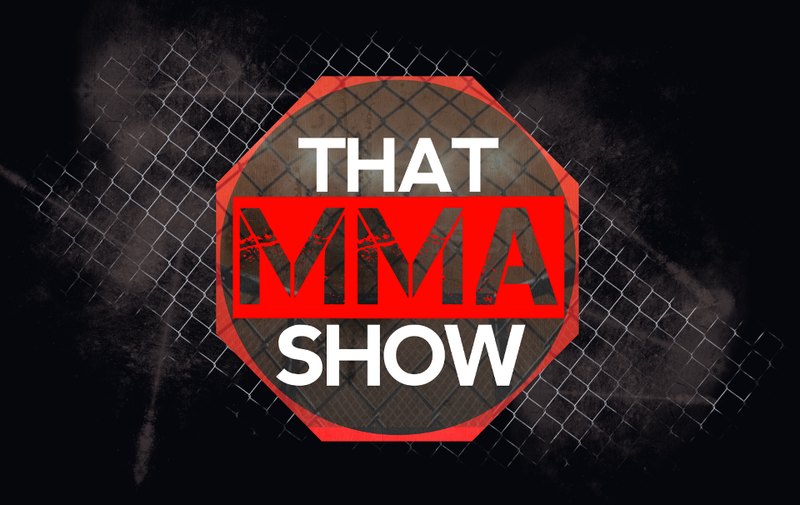 Each option sounds particularly mouth-watering to the MMA masses. Time will only tell what move the legend will pull us in with next. Some other electrifying performances of the night include those put in by Demian Maia, Charles Oliveira, and Johnny Walker. Coming off of a 3-fight losing streak for the first time in his career, Brazilian Jiu Jitsu master, Demian Maia, made a statement when he took out Lyman Good halfway into the first round with his signature rear naked choke. Recently making history as the fighter with the most submissions in UFC history, Charles Oliveira continued his climb to the top of the lightweight division with a second round submission over David Teymur via anaconda choke. Coming off of a first round finish over Khalil Roundtree, Johnny Walker did not upset as he made quick work of Justin Ledet, dropping him with a spinning back fist and pounding him out in less than 15 seconds for the finish. As per usual, the Brazilian fighters came, they fought, and they won the hearts of us all. Now UFC fans must turn their attention to UFC 234 in Melbourne, Australia, where the middleweight division will be put on display with a title fight at the top, and a matchup between two of the most decorated strikers in the sport as the co-main event.